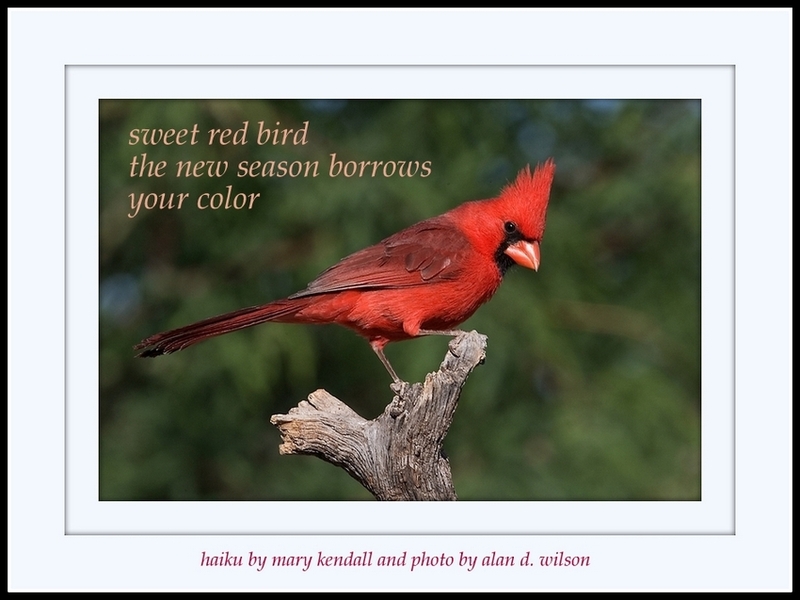 This entry was posted in haiga, haiku, Mary Kendall poetry, poem, poetry, small poems and tagged autumn, autumn poetry, beauty in nature, cardinal, red bird. Bookmark the permalink. Beautiful. I love haiku. They say so much in so few words. Lovely words! When spring returns so do the colors. A rebirth!